The weather in the UK just recently has been amazing and I've been loving that peachy-glowy makeup look, and one thing that's been helping me achieve that look is the gorgeous Soap & Glory Peach Party Blush in Apricot Jam so I thought I'd give it a cheeky review for you all today! The Soap & Glory Peach Party Blush in Apricot Jam* comes cutely packaged in a good sized black plastic compact with a mirror which is always appreciated. 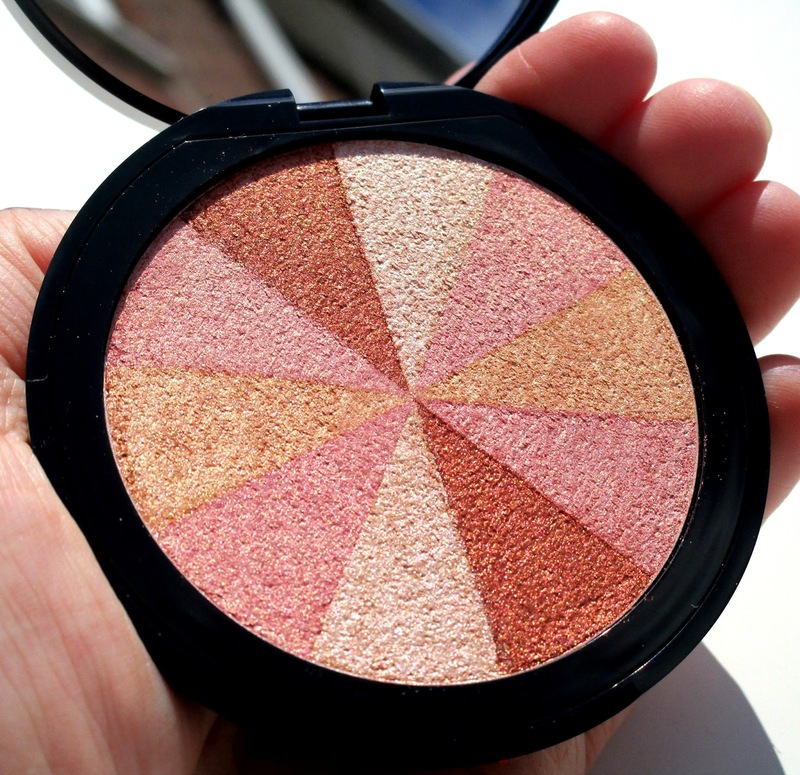 Inside the compact your met by a stunning multi coloured blush brick that features peach, copper & gold pearlised pigments, in a little 'wheel like' triangular segment pattern. 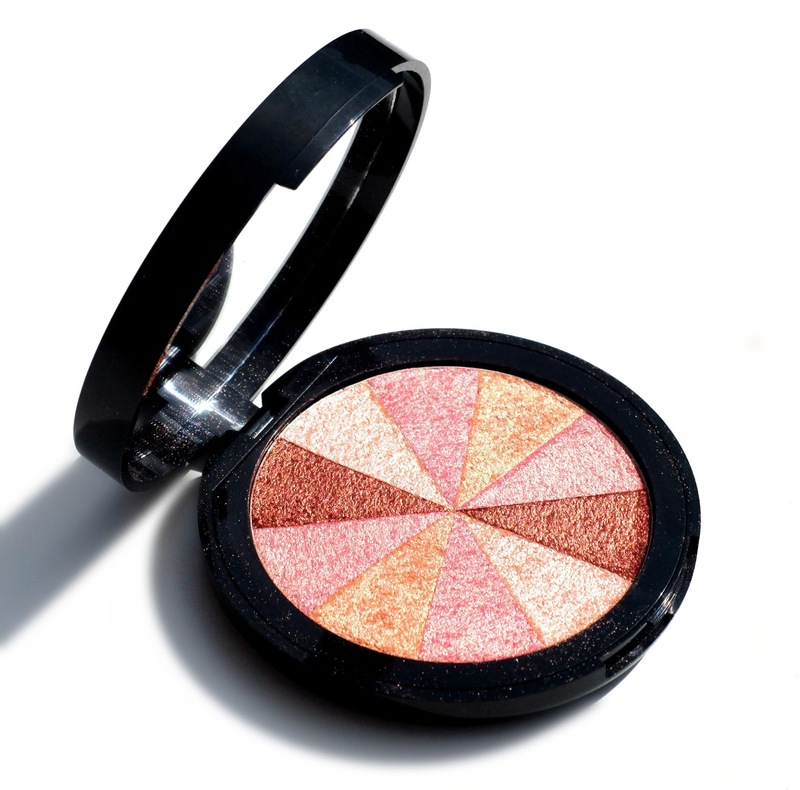 The aim of this compact is to give you that dewy, ‘fresh from the beach’ glowing skin and oh my goodness it does, it's so beautiful! The formula and texture of the Soap & Glory Peach Party Blush is lovely, it's super pigmented, soft and finely milled with a light-reflecting, shimmery finish. On the back of the Peach Party Blush packaging it does say it can be used as a blush to make the apples of your cheeks glisten – or to highlight, contour and brighten your cheekbones, however I like to take large brush, swirl it around the entire wheel picking up every segment and use it only as a glowy blush, it applies on the cheeks beautifully without much blending needed and leaves me with a peachy-coral glow. 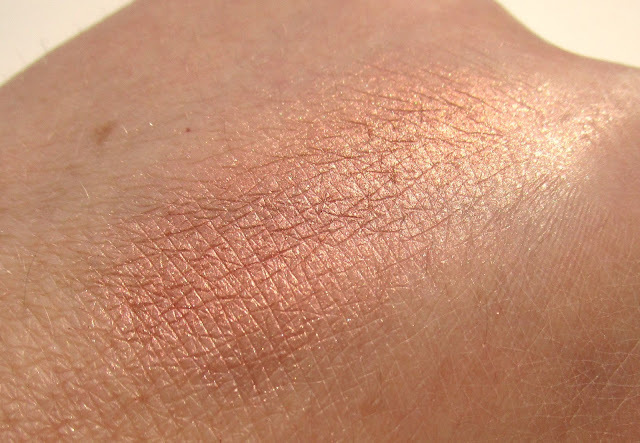 I can see how you could use this as a highlighter because it is shimmery and light-reflecting, so if you like a peachy highlighter than you'll love this but I have no idea how anyone could use this to contour, even if I was to use the darker segments on there own they are way to shimmery and more bronzer like than a contour, but hey ho as a blush it's stunning. If your looking for a peachy, glowy, radiant blush then the Soap & Glory Peach Party needs to go into your basket in Boots immediately. It's so pretty and is a definate summer makeup essential for me, it wears really well on me too (at least 8 hours), blends with ease and I think its definitely suitable for use with any complexion or skin tone too. I have feeling this little beauty will be lasting me a super long too because I have used mine so much and I haven't even schratched the surface of the product yet. You can buy the Soap & Glory Peach Party Blush in Apricot Jam HERE for £11.00. It looks so pretty but I think it may be a little dark on my skin, I tend to stick to matte blushers and then just use a highlight. I do also want to try the new blushers S&G have recently released. I have two of these blushes and they are both gorgeous! I've never tried any Soap and Glory makeup before but this looks like a great product! Thanks for the review! Ah I love the peachy glowy look for summer so much, this looks like it would make a beautiful highlighter. I agree! This really is such a nice blush. It looks like something everyone can wear, too.